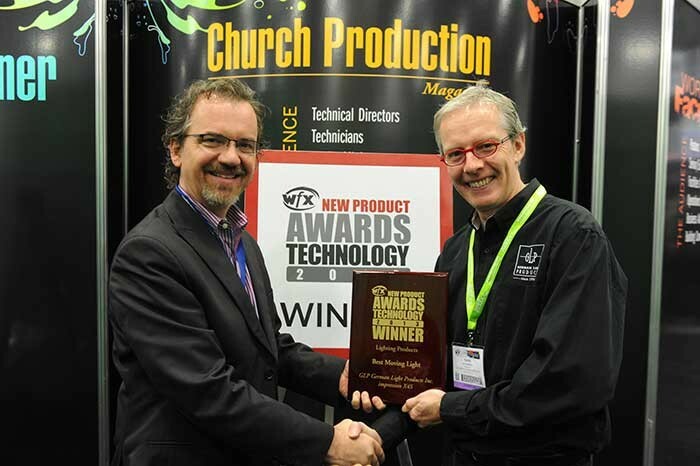 After picking up the WFX 2012 New Technology Award for Best Moving Light with the then recently launched Spot One, GLP has done it again 12 months on. At this year’s Worship Facilities Conference & Expo (WFX) in Dallas, TX, the company achieved similar success — this time for the new impression X4S, following several prestigious installations including Christian Life Center in Illinois. 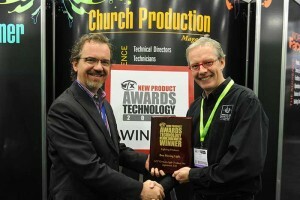 This was among a series of New Product Facility Awards, Solomon Awards and New Product Technology Awards presented by WFX — the leading annual national awards program recognizing innovative new facility products for the church market, church building design and management, as well as innovative new technology products for the church market. These unique symbols of achievement were determined by a panel of leading magazine editors, members of the WFX Advisory Board and WFX management. The GLP impression X4S features seven high power RGBW LEDs, each rated at 15W, with a 7 °–50 ° zoom range. It uses the same optics and characteristics as the impression X4, with a well defined hard edged beam at the lower zoom range, and a homogeneous and soft edged beam at wider angles. However, being smaller and lighter, with a more compact body, the X4S features fast pan and tilt movement with 16 bit control — making it ideal for discreet, flexible installation in houses of worship. In picture: Mark Ravenhill receives GLP’s prestigious WFX Award from Brian Blacmore.